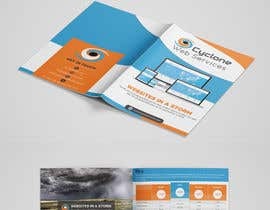 I am a beginner web developer looking for a quality brochure. The old (horrible looking) brochure uploaded. Must contain the same information (slight edits okay). Pictures (apart from the ones attached) can change. Must have the logo and storm picture. The design must be 4 A4 pages (A3 bifold) and should be in spreads Page 1 & 2, Page 3 & 4. I have increased the prize and made it guaranteed due to the excellent work. However, after more thought I would like to see the pricing tables redesigned. Hi, I've designed it but unfortunately can't submit it. please check entry no: #21 #25 and let me know your feedback. thanks. and if you want any kind of change just let me know. thanks.